One comes here to immerse oneself in a natural landscape that has changed but little. The southwest of France offers the best combination of natural beauty, beautiful villages and the finest food in the whole of France. One comes here to immerse oneself in a natural landscape that has changed but little. The southwest of France offers the best combination of natural beauty, beautiful villages and fine food in the whole of France. The names of Dordogne, Bordeaux, Rocamadour, the Pilgrim routes of St James, the Causses, all conjure up special images. 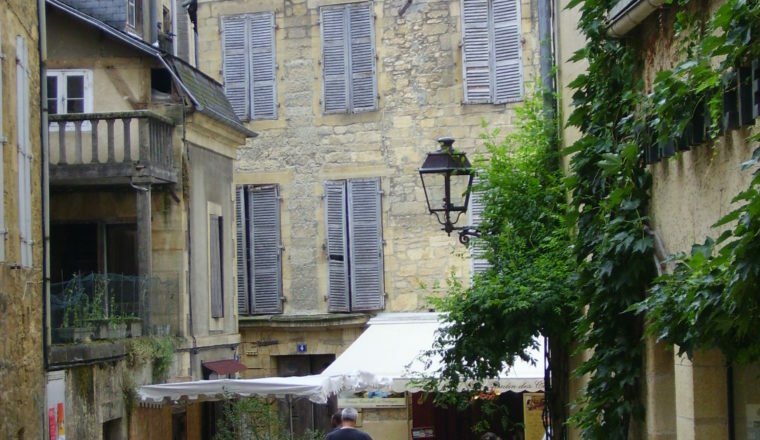 The walk starts in Figeac and finishes in Sarlat La Caneda, both charming medieval towns. The route is punctuated by fascinating landmarks – megaliths, caves, troglodyte houses, charming villages, and castles. An extension to Les Eyzies, renowned for its prehistoric caves, is also possible. £695 Per Person for 6 night tour. £795 Per Person for 7 night tour. 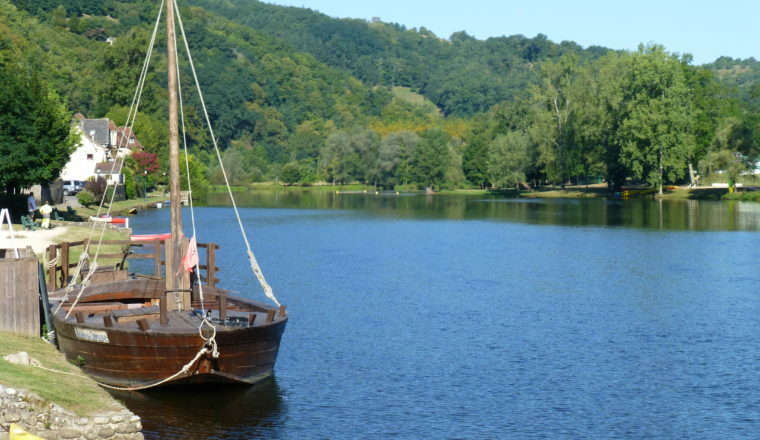 Transport to Figeac, from Sarlat/Les Eyzies, meals not mentioned above, drinks with meals. Choose the day you wish to start any time from the beginning of April to the end of October. Arrive in Figeac. Make the most of your time here to discover this beautiful town and its medieval heritage. 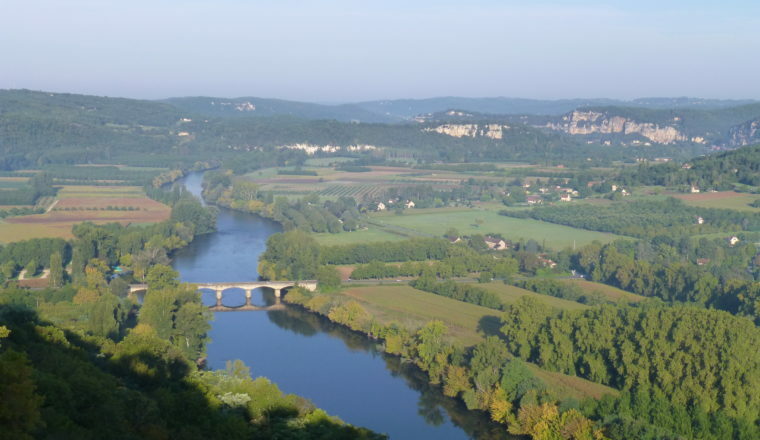 Perhaps take a stroll to Cingle Hill from where there is a stunning panorama of Figeac and its surroundings. 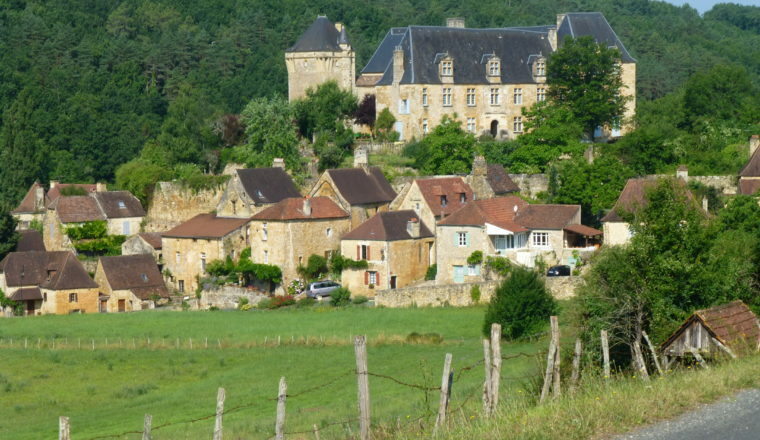 Pass a succession of little villages of enormous charm: the fortified village of Cardaillac, St Bressou and finally Lacapelle-Marival, protected by the imposing mass of its castle. Dinner and overnight. Depart for Gramat, meeting point of two different yet complementary regions: Le Limargue – a region of prairies and agriculture – and the Causse de Gramat – arid, remote and highly picturesque. En route you will come to Rudelle with its interesting church, and l’Hopital Beaulieu. Then you come to the junipers and young oaks that highlight the wilderness of the causse de Gramat. Dinner and overnight. Today is spent discovering the Causse and the Valley of the Alzou. This superb, winding canyon, fringed by water mills, offers a foundation for the abrupt apparition of the vertiginously located town of Rocamadour. One of France’s prime sites, this remarkable town is one of the most celebrated pilgrimage shrines of the Christian western world. Dinner and overnight. Take the beautiful path that overlooking the Ouysse Valley. You will meet some magnificent old mills – Caoulet, Cougnaguet and Treille. 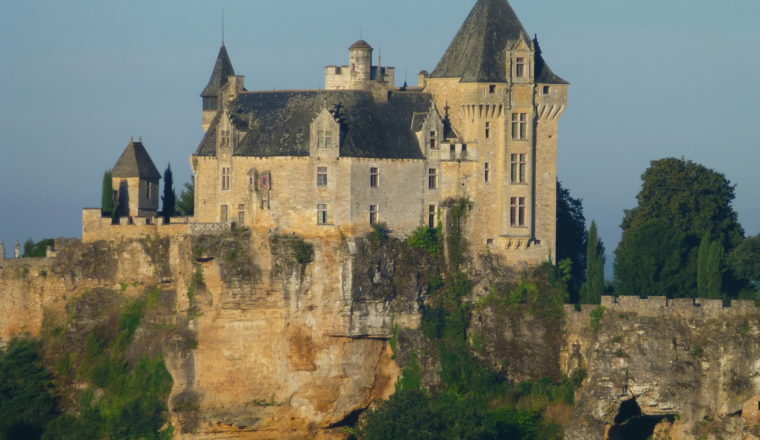 Also, the remarkable Chateau de Belcastel, dominating the confluence of the Dordogne and the Ouysse, and the Chateau de la Treyne, dating to the 16th and 17th centuries. Overnight and dinner at Souillac, town noted for its 12th century Church of Sainte Marie with its quite extraordinary Romanesque carvings. Dinner and overnight. Today you leave Quercy to head for the ‘capital’ of the Perigord Noir. 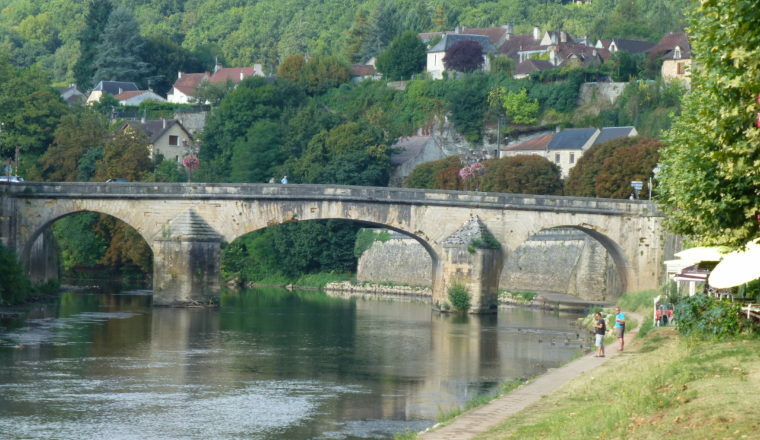 Along this chateau-lined route is a whole succession of views along the Dordogne Valley and surrounding hills. Arrive at Sarlat la Caneda, renowned for its history, its culinary accomplishments and for its art, this magnificent town has a well preserved architectural patrimony dating back to the Middle Ages and the Renaissance – a wonderful place for wandering the alleys and side streets transporting you back to another time. Dinner and overnight. Breakfast and end of trip. Continue to Les Eyzies, known as the world capital of pre-history for its pre-historic caves, for overnight. 26 or 33 kms. HOTEL DES BAINS ** FIGEAC This charming family run hotel situated on the banks of the River Cele deserves a higher grade than 2 stars. Some rooms have balconies overloooking the river. HOTEL LA TERRASSE** LACAPELLE-MARIVAL Hotel located in the centre of town, opposite the château and the mairie (town hall). HOTEL LA VIEILLE AUBERGE** SOUILLAC Family run hotel with excellent food. HOTEL DE COMPOSTELLE*** SARLAT The hotel is a 5 minute walk from the medieval centre, near the cultural centre. HOTEL DE FRANCE** LES EYZIES This family run hotel with garden and swimming pool is located beside the museum in a lovely quiet location. Figeac Railway station has good train connections. Toulouse is the best airport but Rodez and Brive-la-Gaillarde are also good. At the end of the holiday there is a train station in Sarlat or Les Eyzies.